Lyft is a ride-sharing service growing at a fast pace. From less than 3 million rides in 2013, the company had 375 million in 2017 across the U.S. alone. The company has grown from just a lowly competitor to a formidable opponent to Uber. Especially in the United States and Canada. You’ve often heard that numbers don’t lie. And I agree. Ask 100 people about Lyft and they’ll say different things from agreeable to unprintable. But numbers are consistent. They don’t change with the weather. We’ll get into the numbers behind this popular ride-sharing company. But first, some exciting facts. Lyft was founded by Logan Green and John Zimmer in 2007. Lyft is headquartered in San Francisco. Lyft was launched in 2012 as a service of Zimride but later changed its name to Lyft. Zimride services city-to-city riders and longer rides, Lyft focuses on in-city ridesharing. In 2014, Lyft expanded from 15 to almost 65 cities, growing both revenue and riders. In New York alone, Lyft has completed 100 million rides. Lyft uses YouTube videos to recruit drivers. Lyft capitalizes on pop culture by partnering with music companies. Drivers get tipped the most when they have conversation with the passenger. Just like Uber, the most lost & found item on Lyft is the mobile phone. All Lyft cars have a big pink colored mustache right at the front. Lyft Ambassadors can earn money for referring drivers and riders to the service. The economic impact that Lyft has in the ridesharing market is huge. It’s performance throughout 2016 and 2017 shows the company has recorded a 130% growth and now serves over 23 million different passengers and have 1.4 million drivers to account for — that’s a 100% growth from its total in 2016. With the company’s expansion to 54 new U.S. cities in February 2017, Lyft is now available in over 350 cities in the United States. Lyft wants to make its service available in as many U.S. cities as possible. This is to encourage a shift from Americans owning their cars to embracing ride-sharing services. The service had earlier expanded to 40 cities in January. This was part of the company’s plans to expand to 100 new cities by the end of 2017. With Uber not performing up to expectations in 2017, Lyft used this opportunity to gain ground on its far bigger competitor. The transportation company claims it has 35% of the U.S. ride-sharing market as of May 2018. This is up from 17% of the market in January 2016 and 22% in January 2017. Although there’s still a long way to go to catch up with Uber, Lyft is moving in the right direction. The company claims it was able to achieve this market share because of more passengers and drivers that signed up for the service and its greater brand awareness. To achieve this, Lyft had spent a lot of money. They’ve added incentives like subsidies to drivers and discount to riders to attract more users. Moves like these ensure companies rack up debts and struggle to make profits until a few years after establishing their customer base. Nevertheless, it should be noted that not every source agrees with Lyft on its estimation of 35% market share. For instance, Second Measure estimates Lyft’s market share in the U.S. to be 27% with Uber having 73%. Certify estimates that Lyft has 19% of the enterprise ride-sharing market in the first quarter of 2018 compared to Uber’s 81%. In 2017, Lyft saw a massive 130% growth in its number of rides compared to 2016 as it provided 375 million rides. It was an exceptional year for Lyft as the ride-sharing company improved in most of their key performance indicators. Lyft had 160 million rides in 2016. One of the reasons responsible for this number is the service’s launch in over 100 cities in 2017. The company took its service to every state in the United States in 2017. Although taxis are still more popular than rideshare solutions, there’s hope for Uber and Lyft because the number of taxi rides has been dropping since 2014. Lyft has been undergoing a massive increase in the number of rides it has been providing over the years. For instance, they provided 2.7 million rides in 2013 and that value increased to 18.1 million in 2014. In 2015, Lyft provided 53 million rides. For all the years that the company has been in operation, it has been experiencing an increase in the number of rides of over 100%. Lyft claimed that with this number of rides, their passengers saved 92 million travel hours compared to other transportation channels. It estimated that this time savings has a monetary value of $3.2 billion. In November 2017, Lyft surpassed the total of 500 million rides since the service started in 2012. And 11 months later in September 2018, the company announced it has surpassed a billion rides. Over the year, the company has gone into other forms of transportation like bikes, scooters, and public transit. Lyft acquired the largest bike-sharing company in the U.S., Motivate, for a reported $250 million. The company is expected to be renamed Lyft bikes. With this move, Lyft is likely to include bikes and scooters among options in its app in the future. Along with the announcement of one billion rides, Lyft also released other facts on its journey to 1 billion. The longest trip during this period was a 639-mile journey from Denver in Colorado to Sioux City in Iowa. The driver that gave the highest number of rides gave 31,000 rides while the rider with the highest number of rides took 9,000 rides. 47% of the rides, which is approximately 470 million rides, took place during the winter season. This was the company’s most popular season. There were 97 million rides between 5 and 7 am and 153 million rides between 11 pm and 2 am. 76 million rides were taken to the airport while 233 million of the 1 billion rides were Lyft Shared Rides. The company announced in July 2017 that it was providing more than a million rides daily. This is after 5 years of rapid expansion by the company. For every year the company has operated, it has experienced higher than a 100% ride growth year over year. “In January, we set a goal of launching in 100 new communities across the country by the end of 2017,” the company said in its blog post. With the development in driverless technology, the ride-sharing industry could take a new turn for the ride-sharing companies. Not only the ride-sharing companies but also the drivers and passengers. Driverless cars could allow ride-sharing companies to reduce the cost of transportation and also to keep the revenue rather than share it with the drivers. Currently, Lyft takes between 20 and 25% of transport fares while the rest goes to the drivers. With the inevitable introduction of driverless cars, many drivers for ride-sharing companies may find themselves out of work or need to take on another side job. However, this move is important to ride-sharing companies as it’s currently difficult for them to make profits. More so, the leader in executing the driverless technology could become the leader in the ride-sharing industry in the future. Uber started its drive to build driverless vehicles in 2015. A year later, Lyft joined the driverless vehicle race. Lyft is not trying to build driverless cars. But the company is collaborating with manufacturers of driverless cars so that the cars can provide ride services when they’re safe enough to travel in cities. One of the collaborations is with General Motors in 2016. The partnership is for the deployment of a self-driving Chevrolet Bolt EV. It has another deal with NuTonomy. Another of Lyft’s partners is Waymo, a driverless technology company owned by Google. From January in 2018, Lyft had begun a partnership with a self-driving technology company, Aptiv. This enables the company to run its ride-sharing service with the driverless cars in Las Vegas. It included an option in its app where passengers can opt-in to be driven by these cars at no extra cost. The vehicles have provided 5,000 paid trips with passengers rating their experience an average of 4.96. It must be noted that the vehicles still required drivers at the wheel to take over the vehicles in case of any malfunction. This is expected as the technology is still developing towards everyday use. However, this trend shows that passengers would have to get used to boarding driverless vehicles sooner rather than later. While announcing its milestone of a million rides daily, Lyft also claimed that it was now serving nearly 80% of the U.S. population. This is huge considering it had about 20% U.S. market in 2014, which has also increased significantly in 2018. 9. Lyft can pick up customers in 95% of the U.S.
Due to its expansion into over 350 cities in the United States, the company claimed that customers can use its service in 95% locations of the country. For a ride-sharing service, much of its success rests on how well it can bring drivers to their side. Without drivers who are willing to use their vehicle for the program, there’s no way for the service to survive. Lyft has been gaining drivers over the years. The company has 1.4 million drivers in 2017. They have invested $100 million to help drivers in its network to undergo basic maintenance of their vehicles. These are perks that could encourage more drivers into the network. Lyft aims to double its current number of drivers in 5 years. According to data from SherpaShare, a Lyft driver in the U.S. made an average of $12.53 per ride while an Uber driver made an average of $13.36 per ride. This value, however, doesn’t consider the cut from the ride-sharing services, maintenance of the car, or cost of gas. Many drivers use Lyft as a side job to earn extra income to take care of their family or other needs. By driving for Lyft, drivers were able to earn a combined $3.6 billion throughout the year. This is a 140% increase from 2016. Although it has to be noted that the number of drivers has also increased. When you consider Lyft had 1.4 million drivers in the year, a driver earned an average of $2,571. That may not be enough as a full-time job but it’s a good side job. Also, how much drivers make will depend on how many rides they provide. For many drivers, earning tips is an added reward for a remarkable service. Lyft allows passengers to rate drivers after service and likewise, drivers also rate passengers. Riders seem to be excited tipping their drivers. But another way a driver could tell they’re doing a good job is through the tips they receive. In 2017, Lyft drivers received a combined $240 million in tips. When you divide this across 1.4 million drivers, a Lyft driver earned an average $171 in 2017. During the course of driving passengers, it’s possible for vehicles to get into auto accidents. When this happens, a driver may be in a difficult spot if they have no insurance package. However, Lyft has its drivers covered. When the app is on and set in driver mode, the driver is entitled to insurance coverage. This is the Period 1 auto liability. The driver is entitled to $100,000 per accident for bodily injuries and $25,000 per accident for property damage. When a driver has a passenger in their vehicle, there’s a bigger insurance package. The driver is entitled to Period 2 and 3 Auto liability. This makes the driver entitled to a maximum policy of $1 million per accident. The policy covers the period between when a Lyft driver carries a passenger and when they get to their destination. To achieve its 375 million rides, 23 million people took their rides using Lyft. That’s approximately 16 rides per passenger. Lyft saw a 92% increase in its number of passengers compared to 2016. In October 2018, Lyft introduced its $299 subscription for 30 rides during a month. This subscription is for trips that cost $15 or less. For trips that cost more than $15, Lyft will charge the difference. The company claims this plan costs 59% less than a user running their car for a month. This subscription plan is one of Lyft’s plans to discourage people from owning cars and using ride-sharing services that cost lower. “In the future, we won’t own transportation; we’ll subscribe to it like we do Netflix or ClassPass or Amazon Prime,” Lyft’s design vice president, Katie Dill, said. This plan is for heavy users who take rides higher than $10 but lower than $15. Lyft said it would improve the plan according to users’ feedback. According to Lyft, its passengers rate 90% of their rides 5 stars. That’s a high level of user satisfaction for any business. To reduce the cost of transport fares for passengers, Lyft introduced its Line service. The Line service allows Lyft to match two passengers to a single vehicle when those two passengers are going in the same direction. The Line offers a discount of between 10% and 60% for passengers based on Line trips. This is an attractive feature that helps passengers to reduce cost. Likewise, they can make new friends as these people could live in the same area. Lyft found in its survey that 40% of its passengers have been using this feature. One of the main aims of Lyft is to provide a service that will encourage their passengers to opt for the ride-sharing vehicles rather than taking on the cost of owning their own vehicle. In Lyft’s study, they found that 50% of customers are using their vehicles less because of using Lyft. The company also found that 250,000 of its passengers have stopped owning their personal vehicles due to the availability of ride-sharing options. As the company grew its user base and drivers, the revenues also increased. While announcing financial results for the fourth quarter in 2007, the company revealed that it exceeded $1 billion in revenues during the year. For the fourth quarter of 2017, the company revealed a revenue growth of 168% compared to the fourth quarter of 2016. Its revenue of $1 billion was up from $700 million in 2016. The company had a revenue of $200 million in 2015 and $31.6 million in 2014. This shows a trend of a company that has been increasing its revenue rapidly year over year. For startups, funding is one of the most important aspects of running the business. No matter how remarkable your idea is, it’s almost impossible to execute those ideas without adequate funding. At the beginning of every business, they have to finance various aspects of the business operations until the business can start turning in profits. Therefore one of the responsibilities of any startup is to convince investors that your idea is worth funding. To convince an investor, the startup has to be able to explain how it will make profits for the investor. Getting funding shows a level of confidence in a business. When many investors put their money in a business, it’s usually because the company is taking right steps. With the series I funding of $600 million in 2018 at a company post-valuation of $15.1 billion, the company has now raised $5.1 billion since it started its operation in 2012. Fidelity is one of Lyft’s largest investors. They have invested over $800 million into the company. Other investors in the company include Baillie Gifford, CapitalG, Rakuten, KKR, AllianceBernstein, etc. 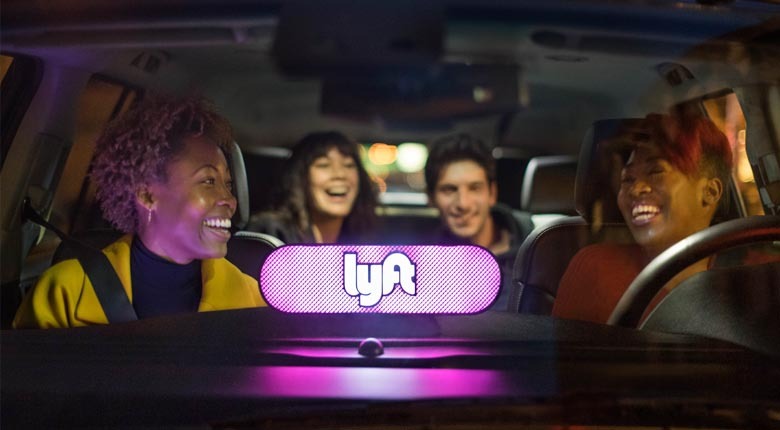 With the increase in its number of drivers, passengers, and availability in more cities, Lyft has seen its value go up through the years. In June 2018, Lyft raised $600 million in Series I funding at a $15.1 billion valuation of the company. This was 6 months after Google’s CapitalG led a funding round of $1.5 billion. The company had an $11.5 billion value at the time. As a result of the funding, CapitalG partner David Lawee joined Lyft’s board. Google was one of the early investors into Uber. This move was seen as a change of direction by Google. Controversies have since erupted between Google and Uber. Waymo, Google’s self-driving company, sued one of the top Uber’s engineers for stealing tens of thousands of pages of documents before starting his own company. With Google’s support for Lyft, it’s, therefore, no surprise that Waymo is in a partnership with Lyft. The company had doubled its valuation from $7.5 billion in April 2017 after its series G funding. It’s common for many startups to rack up debts while growing. Companies like Netflix and Uber have taken on debts in their drive to grow their customer base. The belief is that the company can pay up the debt later after gaining as many customers as possible. The good news is that Lyft’s adjusted profit project between 2016 and 2020 is something to consider, according to TechCrunch. Lyft is in the same boat as these companies. This practice is especially common in emerging markets. Netflix has racked up billions of dollars of debt in order to own the internet TV market. This is a long-term strategy as the winner of the majority of viewers will also end up delivering the highest revenues. Lyft and Uber are taking on debts to own the ride-sharing market. Even though Uber started with a large majority in the United States, Lyft is catching up and gaining ground on their competitor. This move of acquiring new users and technology that will give the company an edge in the ride-sharing market led to a loss of $600 million in 2016 on a $700 million revenue. This is considerably higher than the reported $360 million loss in 2015 on a $200 million revenue. Another source believes the losses were closer to $412 million rather than $360 million. In 2014, Lyft lost $199.4 million on a revenue of $31.6 million. One trend noticeable is that Lyft has been racking up debts as its revenue has been increasing over the years. A debt of $600 million is a lot of money but it’s even much smaller when you compare to its competitor, Uber. Uber runs a much bigger business and lost $2.8 billion in 2016. However, these losses may be unsustainable if it continues for too long. Lyft has reported that the losses will be eliminated as the company continues to grow its revenue and reduce sales and marketing expense. In its 2017 financial results, the company failed to disclose its loss during the year. Despite that, the company CFO, Brian Roberts, revealed that the company “significantly reduced sales and marketing expenses. Lyft is moving fast to capture as many customers as possible. And it has achieved this for all its years in operation as the company continues to increase its number of rides by 100% year over year. But Lyft is not a perfect company. It needs to stop losing money and start making profits to increase investors’ confidence. Lyft believes its superb ridesharing service will continue to draw more customers and consequently profits.